This entry was posted in Uncategorized on January 21, 2016 by Another Fine Day. This entry was posted in Uncategorized on November 17, 2015 by Another Fine Day. 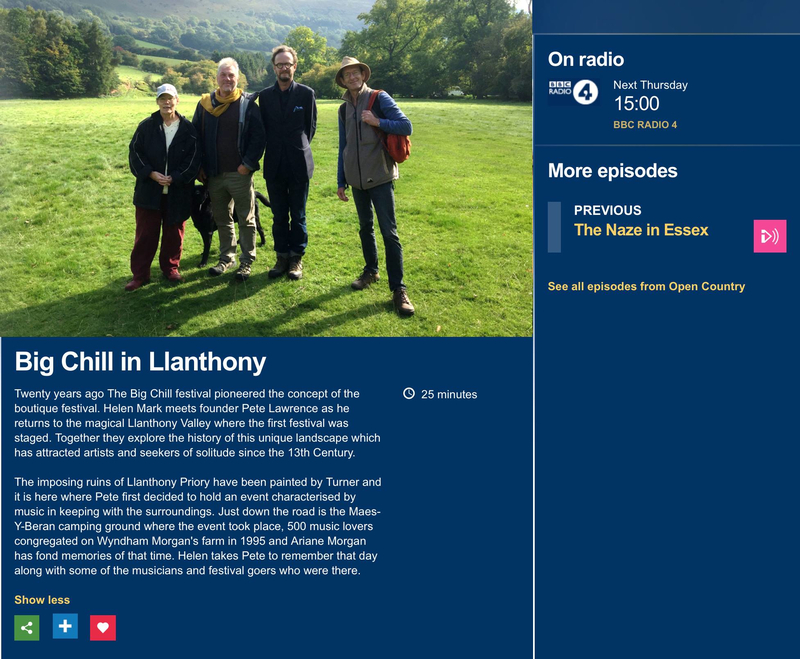 Coming up Thursday 29th October at 3pm, BBC Radio 4’s “Open Country” explores the site for the first Big Chill Festival in 1995. Helen Mark meets founder Pete Lawrence and a handful of other folk to have a chat, including Tom Green/AFD – he’s the one with the hat. This entry was posted in Uncategorized on October 26, 2015 by Another Fine Day. A side project here, 20 deeply ambient tunes commissioned by the Ameritz label for their Spotify channel – do not take this medication while driving… for now not available as download, though that may change. This entry was posted in Uncategorized on October 17, 2015 by Another Fine Day. This entry was posted in Uncategorized on October 5, 2015 by Another Fine Day.